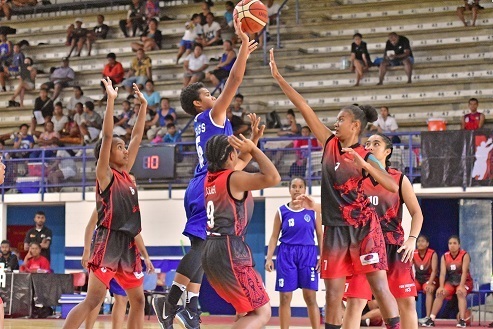 YAT Sen Secondary School is through to the finals of both the girls and boys Under-19 divisions at the Fiji Secondary Schools Basketball Championship underway in Suva. YSS will play Marist Brothers High School in the boys division final while they play St Joseph’s Secondary School in the girls final. In the U19 boys semi-finals earlier today, YSS edged St. Johns College 16-13 while MBHS beat Tilak High 28-7. In the girl’s semi-finals, YSS beat Tilak High 28-7 while SJSS thumped Suva Grammar School 24-14. In other grades, YSS plays MBHS in the U17 grade boys final while in the girls division, SGS plays SJSS. In the U15 grade finals, MBHS plays SVC in the boys grade while SGS takes on YSS in the girls division. 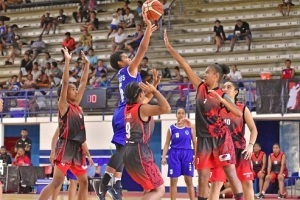 The finals will be played this afternoon at the Eds Court in Raiwaqa. Source: The Fiji Times Newspaper on Wednesday 22nd August 2018.